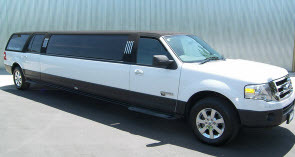 Wondering if you should hire a limousine service for your next big concert event? When you take into account the many logistical benefits and most importantly safety benefits a limousine service offers, hiring a limousine service is well worth the expense. A chauffeured limousine service eliminates the need to have a designated driver, ensuring everyone in your party can have an enjoyable time without the worry of drinking and driving. And you never have to worry about arriving late or finding a place to park. Pam’s Pretty Limousines is a locally owned and operated limousine company serving our clients in Chicago Illinois since 2008. We are fully licensed, insured and bonded. If you want to ride in style for a night on the town, Pam’s Pretty Limousines Service is the place to call. From venues such as Lincoln Hall, Double Door, Chicago Theatre and Millennium Park to name but a few, Pam’s Pretty Limousines will get you there in style! •	If you happen to be travelling with a large group of people, taking a cab or two is not really a viable option especially if it means separating your party into two groups. Pam’s Pretty Limousines recommends sharing the cost of a limousine service. Costs are reasonable when a group of people all put in together. A limo service is a much more luxurious way to arrive at your destination, not to mention more comfort and space than a cab. •	Navigating an area you are unfamiliar with can be frustrating and there is nothing worse than trying to provide a cab driver with directions. With Pam’s Pretty Limousines, our drivers will get you exactly where you need to go. All you need do is sit back and relax and enjoy! •	Pam’s Pretty Limousines and their drivers take pride in the safety standards of our company. Our limousines have a variety of safety features and our drivers are professionals that undergo extensive training and background checks to ensure the safety and security of our passengers. •	Arrive at your next concert in style! Pam’s Pretty Limousines is a great way to make an impression. You will never have to worry about finding a place to park or having to walk great distances to get from one place to another. After the concert your driver will be waiting to whisk you home in the same style that you arrived. •	Limousines have all kinds of built in entertainment for your enjoyment. Radios, Wi-Fi and TV services are available, Pam’s Pretty Limousines also offers complimentary water, soda and beer. Wine and spirits are available upon request. You definitely won’t be bored riding in a limousine. At Pam’s Pretty Limousines, our professional, uniformed chauffeurs drive the best vehicles in town. Our customer service operators invite you to contact us today for more information about our Concert limousines or any of our other limousine services. 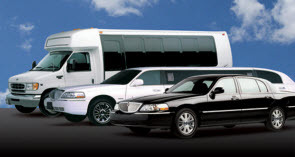 We have a wide variety of transportation packages, from limousine services for business travelers, tours for vacationers or any kind of special event we will make your occasion something you’ll remember fondly for a lifetime. The drivers are always friendly and wonderful people to talk with. No other executive car services or limousine transportation can compare to these guys. We will definitely use them again and recommend them to all of our friends, family and colleagues. 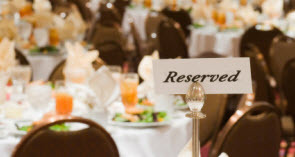 Whether you want to visit Meyer's Castle for a special party, tourist attractions like The John Hancock Building or Harold Washington Cultural Center, a sporting event or concert at the Chicago United Center or go shopping at Jewelers Row Chicago or Gurnee Mills Mall, you don't want to just show up, you want to show up in style! Our Luxury vehicles arrive with discreet, professional, uniformed chauffeurs, packed with amenities and offer first-class service. You will travel in comfort and style! Whether you want to arrive comfortable and relaxed to your next business meeting, need to transport a large grout to a convention, travel quickly to and from the airport, create special memories at a loved one's wedding, prom or graduation or let you hair down for a fun night on the town, we've got you covered!